i will buy again !! You can never have too many of these! i put them all over the house and in the car! Many times our mail is delivered at night, so to be able to see into the mail box, I use a small flashlight, in which this will replace the one I have. Also use for emergency if there is a power outage. These flashlights are awesome. They work really well. Just the perfect size to leave one on the nightstand and a second one in my purse. Also, having a strap is handy. Handy for purse, and for small hands. Bright light, and the zoom feature is nice. Great flashlight for the purse. It is great when I forget to turn on outside lights, great for opening doors with keys when you can't see the keyhole. 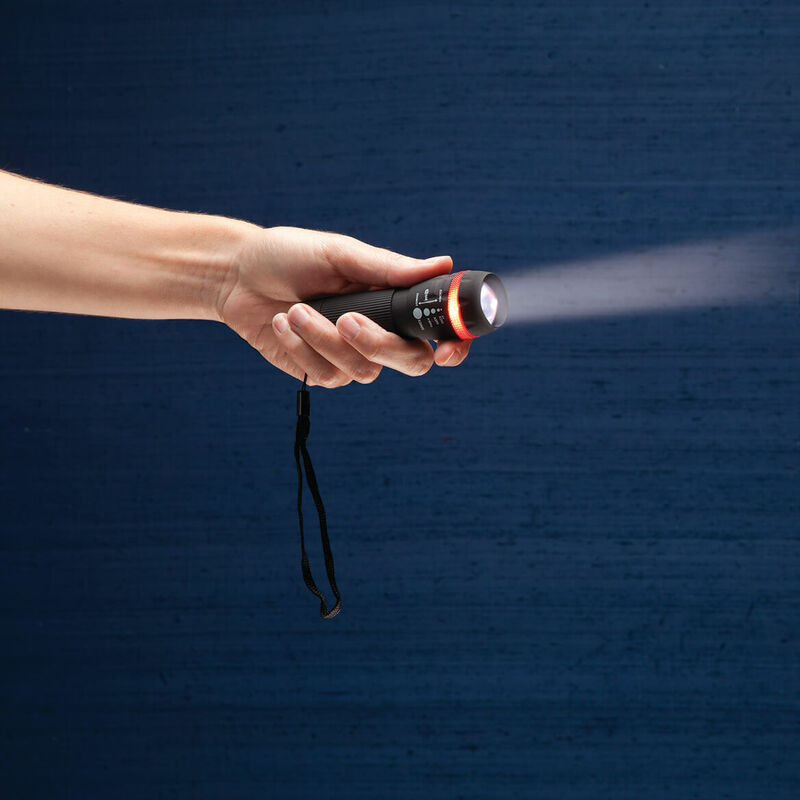 Flashlights are small, easily carried in pocket or baggage. They provide bright light with easily adjustable focus from broad illumination to concentrated beam. Nice bright light. Good for small hands. The flashlights are lightweight which is an advantage. They are not as bright as I would have liked, but are adequate. They'd be great for kids, but I would not buy again for an adult. Each flashlight requires three AAA batteries. 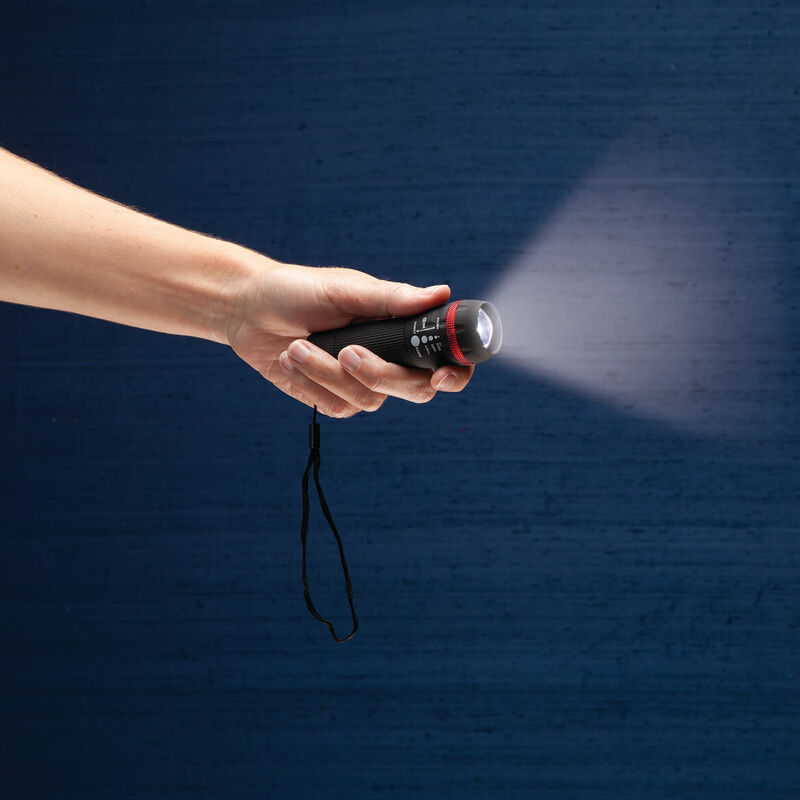 we are always in need of flashlights in and around the house. These seem to be the right sizes to place in needed places . The price was good for two LED flashlights. In case the electricity goes out I have one at each side of the house ready to use. Storms and power outages recently made me remember I needed more flashlights. The price of these was definitely a deciding factor in this purchase also. Needed a few for around the house and in vehicles. These are very nice flashlights. You can never have too many! I also give them away. Great gifts. Can always use a flashlight. Need new flashlights and believe this is good bargain. Needed something small for my pocket of purse. This is a FANTASTIC BUY ! The Led Zoom flashlights are very easy to use. I bought one for my vision impaired husband a few months back and he is able to use it with ease. No buttons to fumble with and a convenient wrist strap for extra safety. These LED flashlights are very essential in everyone’s home, and the price is so good! 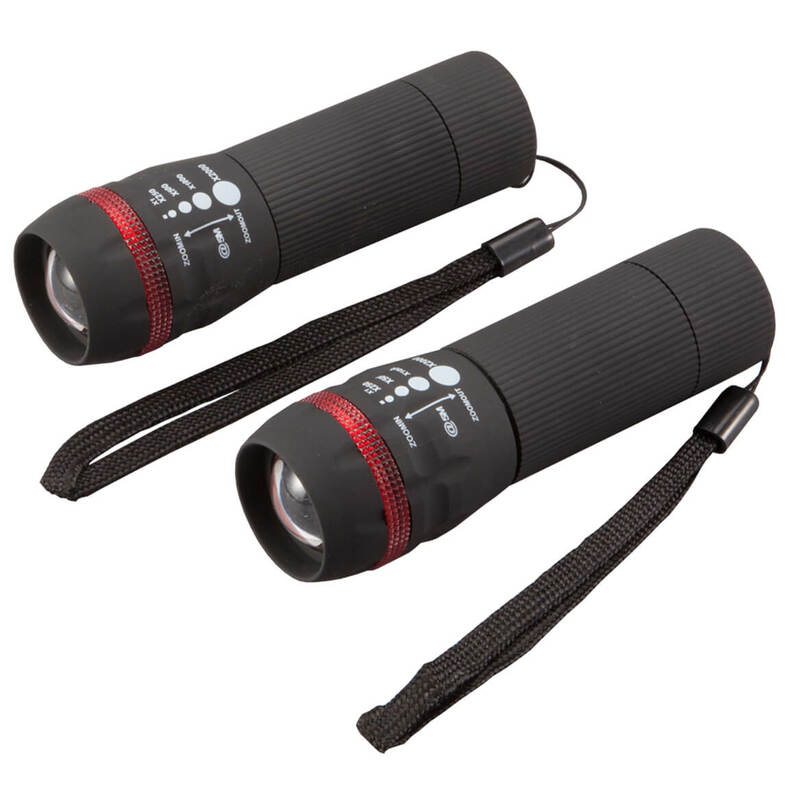 WHO COULD 'NT USE A POCKET FLASHLIGHT.....ANOTHER GREAT PRICE!!! Compact. Good in a purse. Good to leave in the glove box of the car. My 2 grandsons always argue over who is next to hold Granny's flashlight when we are in the yard at night. Replacement for lost flashlight for my grandson. what is the size of the flashlite? BEST ANSWER: Thank you for your question. They are 4”Long and approx. 1 1/8” in diameter. We hope this information will be of help to you. The flashlights are 4 inches long and the strap is about the same .